I wrote "Abuelo vivía solo~Grandpa Used to Live Alone" for my daughter and for my father, inspired by the lasting love between them. Several years ago my father was being treated for cancer, and he was heart-breakingly weak. One day, when he was still struggling to walk again, I walked by his room and saw my daughter lying in bed next to him, watching him nap. I started to cry, remembering when she was the one struggling to walk, holding his big hand. I remembered when he was the one to lay by her crib, soothing her to sleep while I went to college at night. I had always wanted to write a story about the role my father played in my daughter's life, and after years of playing with different ideas, a story was born. It was a bitter-sweet moment. My latest picture book is about the love between a fatherless young girl and her grandfather. It's about her slowly growing up as he slowly grows old. My daughter was my original inspiration to write children's books. 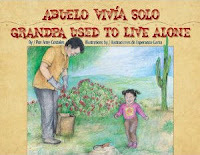 When I finally held "Abuelo vivía solo*Grandpa Used to Live Alone" in my hands, I flew back in time to the day that I first started thinking of writing. My daughter, who is now twenty-two, was a toddler in my lap, watching a video she had just received for Christmas. It was her first encounter with T.V. There was a happy father on the screen pulling a toddler in a wagon. I was enjoying the scene, tapping my toe to the accompanying song of “Daddy’s Taking Me to The Zoo Today” with no deep thoughts. My daughter was the one doing the profound thinking. She tapped me on the knee, trying to comfort me, saying, “Don’t worry Mami, I have my Poppop”. I was stunned by all that must have gone through her two-year-old brain. She had looked at the screen, thought about how, unlike that child, she didn't have a father around. She then thought of her grandpa, but also felt a need to console me. Híjole. That was a lot of thinking for one little girl. From that day on I was aware of the way the image of family in the media never reflected mine or my friends’. Where were the young single moms? The dads working two jobs? The children sharing rooms? The families sharing houses? Where were the brown-skinned children? I always had enjoyed playing with words, but suddenly I had something compelling me to write. I write mostly because I feel a constant need to broaden the image of family. Amy Costales is a passionate advocate of multicultural education and a bilingual children’s author. She currently teaches Spanish and Spanish for Heritage Speakers at the University of Oregon. 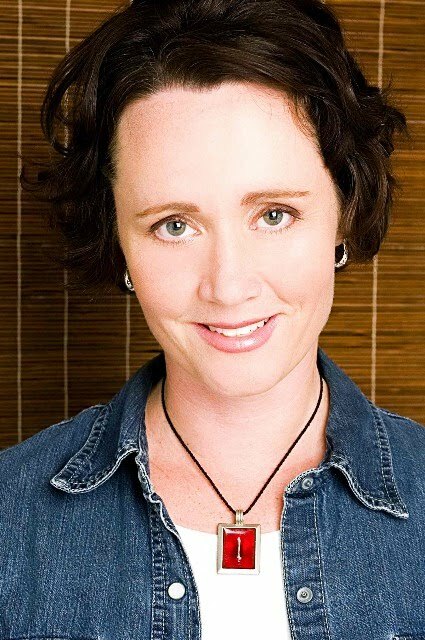 Amy firmly believes that all children should be able to open books and see the astonishing diversity of the world, as well as a life that looks like their own. Visit Amy Costales at amycostales.com.